About a month ago, we talked about downloading the official Windows 8.1 ISO right from Microsoft servers with the help of a new utility called Windows Installation Media Creation Tool. Windows Installation Media Creation Tool can be used to download official Windows 8.1 ISO image files from Microsoft without entering the product key. Media Creation Tool can be helpful to users who want to perform a clean install of Windows 8.1 or users who want to re-install the operating system but have lost the original installation media. With the help of Windows Installation Media Creation Tool, you can download both 32-bit and 64-bit versions of Windows 8.1, Windows 8.1 N, Windows 8.1 Pro, Windows 8.1 Pro N, and Windows 8.1 Single Language editions. Besides, you can choose the language (Windows 8.1 ISO is available in over 35 languages). 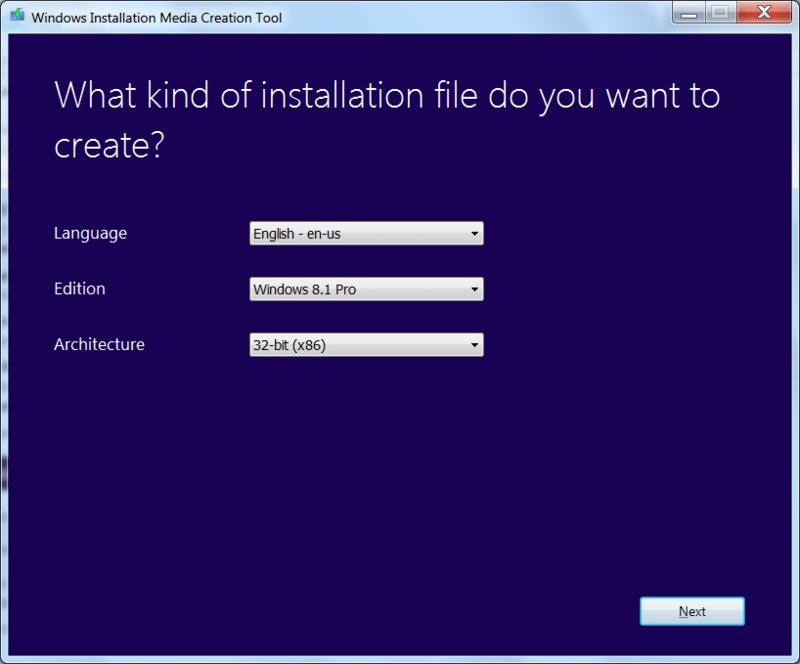 Those of you wondering if the Windows Installation Media Creation Tool can be run on Windows 7 will be glad to know that it’s possible to run Windows Installation Media Creation Tool on Windows 7 to download Windows 8.1 ISO image files right from Microsoft without having to enter the product license key. This is helpful when you’re unable to boot into Windows 8.1 and want to perform a clean install of Windows 8.1 by downloading Windows 8.1 ISO on a PC running Windows 7. Since the tool doesn’t prompt you to enter the license key in order to initiate the download, it’s much easier to download the official ISO. To run Windows Installation Media Creation Tool on Windows 7, simply download the utility by visiting this page of Microsoft and then run the downloaded executable. After running the executable, you need to select your language, edition of Windows 8.1, and then the architecture type. The time required to download the ISO image will depend on your internet connection speed and load on Microsoft servers. In addition to downloading ISO image files, Windows Installation Media Creation Tool can be used to prepare the bootable USB of your Windows 8.1 as well. That is, you don’t need to actually download the ISO file in order to prepare the bootable USB. Simply select USB flash drive option on Choose where to save the installation file screen to download the installation files and prepare the bootable USB. 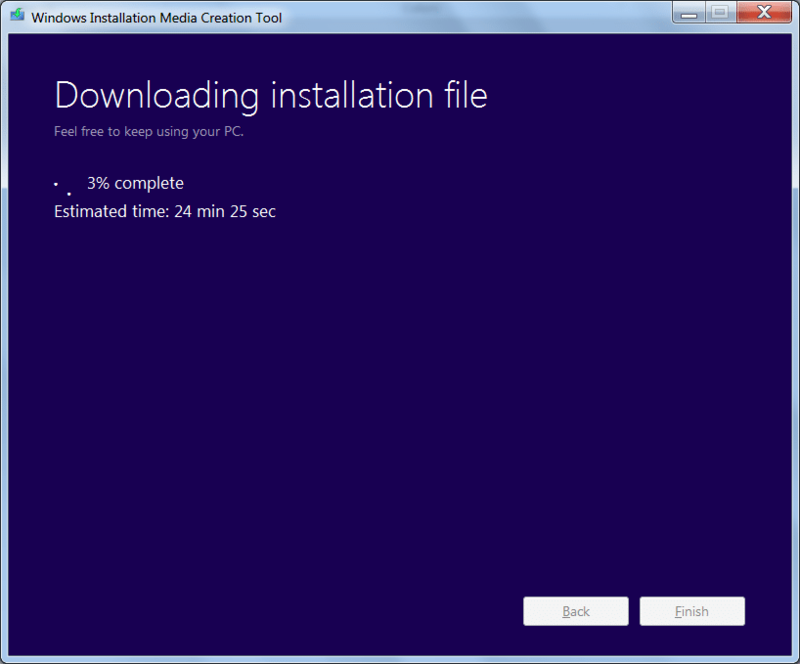 Note that you can’t use Windows Installation Media Creation Tool to download Windows 7 ISO from Microsoft. 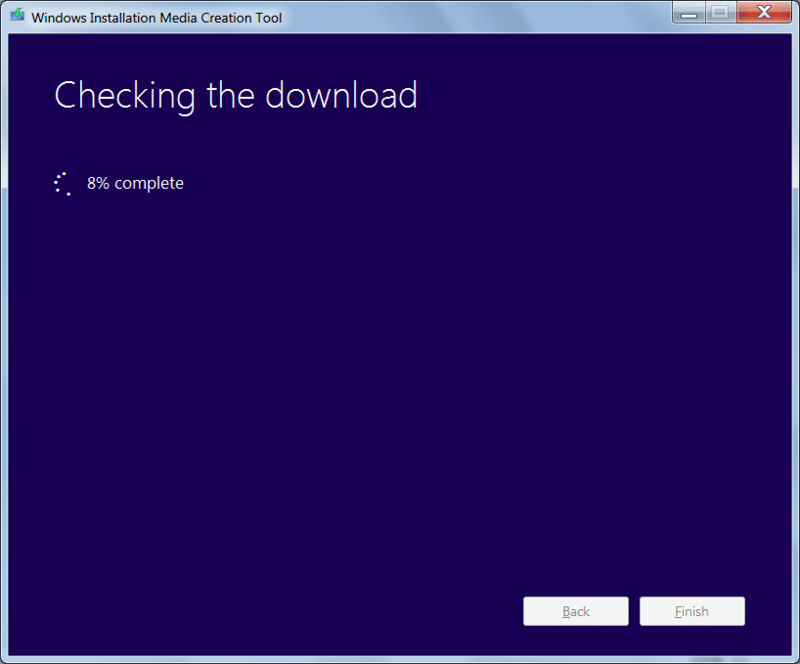 Also, this tool can’t be used to download Windows 8 ISO files. Only Windows 8.1 ISO image files can be downloaded using this utility.